I'm an astrophysics research associate working on the discovery and characterisation of extrasolar planets. 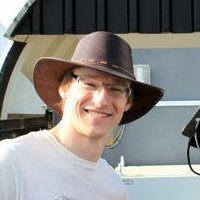 I'm a member of the SuperWASP (Wide Angle Search for Planets) consortium, which uses the transit technique to find extrasolar planets. I further characterise exoplanets using occultations (when a planet passes behind its host star) and the Rossiter-McLaughlin effect. My first-author papers are listed here and all papers on which I appear are listed here.